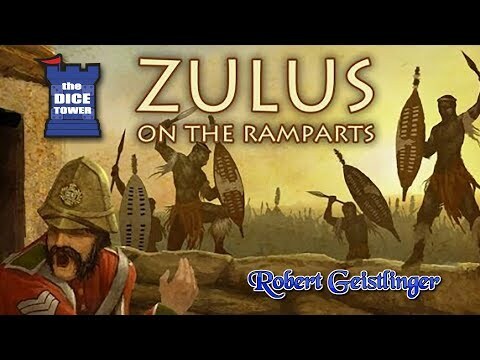 Zulus on the Ramparts! 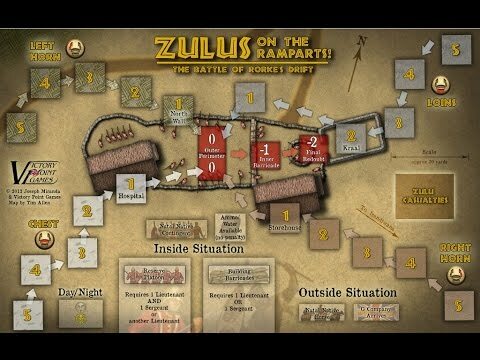 is a solitaire States of SiegeTM game of The Battle of Rorke’s Drift in South Africa during the Anglo-Zulu War of 1879 (as depicted in the film Zulu). At this battle, approximately 140 British soldiers and auxiliaries defended a small compound (in an area less than half the size of a baseball field) against 4000+ crack Zulu warriors – and won. This action saw more Victoria Crosses awarded (the highest medal for bravery in Britain) to a single regiment at a battle than any other before or since. Its legend has grown to become one of the greatest “stands” ever in military history.